He had been recovering from heart surgery. A 58-YEAR-OLD environmental scientist who banged his head off an advertising sign in an Ikea car park, has been awarded just over €35,000 damages in the Circuit Civil Court. Patrick (Leo) Sweeney, of Hazelbrook Road, Terenure, Dublin 6W, told Judge Jacqueline Linnane he was returning goods that he had previously purchased at the Ikea store in St Margaret’s Road, Ballymun, Dublin 11. Mr Sweeney said his forehead had been struck heavily against the advertising panel and his head and neck had been hyperextended backwards, immediately causing him severe shock and neck pain. Barrister Brian Conroy, who appeared with solicitor Damian Tansey for Mr Sweeney, told Judge Linnane that his client was a poor candidate for the accident as he was still recovering from a coronary artery bypass and aortic valve replacement operation. Mr Conroy said the operation had taken place in December 2015 just five months before the unfortunate incident in the Ikea car park. Mr Sweeney was undergoing rehabilitation and had still not returned to work. The court heard that Mr Sweeney had attended his GP a few days after the incident complaining of neck and back pain. He had been prescribed pain relieving medication and told to apply ice packs to the area. On review by his consultant orthopaedic surgeon towards the end of June 2016 he was found to be still suffering from pain in his neck and back. He had been unable to do long periods of work in front of a computer and his injuries had further delayed his return to work. Awarding him €35,360 damages, Judge Linnane said Mr Sweeney was a man in his late fifties recovering from heart surgery when he had struck his head heavily against the advertising sign. She said that from photographs shown to the court she could see the advertisements were at a dangerous height and almost the same height of an average man. There were no pedestrian walkways provided in the car park area and she felt it was foreseeable that someone would walk into the signs. Mr Conroy had submitted the advertising signs had not been placed at a sufficient height as to avoid the creation of a hazard to pedestrians and Ikea had failed to provide pedestrian walkways around the car park and particularly the signs. 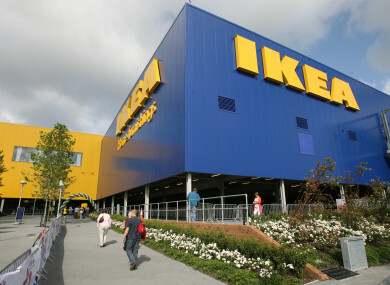 Email “Man who banged his head in Ikea car park awarded over €35,000 in damages”. Feedback on “Man who banged his head in Ikea car park awarded over €35,000 in damages”.